Hey, need more donuts? Grab some the easy way. EA Mobile just updated its hit mobile and tablet game, The Simpsons: Tapped Out, much to the delight of its fans. On top of that, we learned of a cheat that'll help you score 10 free donuts, because who doesn't need more of them, right? To claim your reward, tap Homer, then make him play with his myPad. From there, tap him 10 times to earn 10 free donuts. 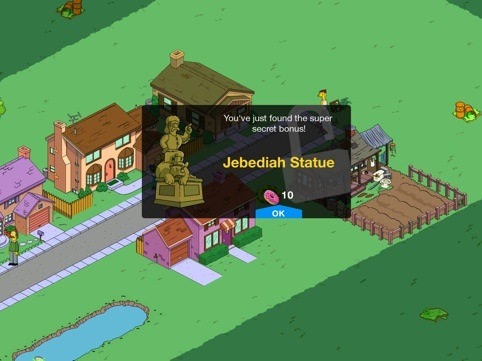 On top of that, you'll also receive a statue of Jebediah Springfield. Keep in mind this only works once. Now get to it.